Is Twitter Secretly Verifying Accounts Again? In November, Twitter announced that it was putting a hold on verifying any new accounts while the company tried to figure out how to fix its verification system and what it meant to be verified. 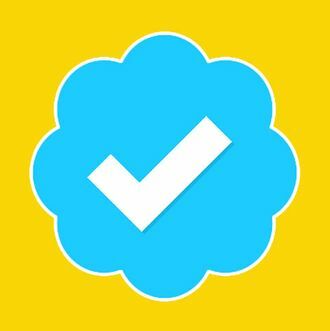 Twitter was always clear that giving an account the infamous blue check mark was not an endorsement by the company, but in many ways, just by nature of Twitter saying, We acknowledge this person is a real person that we vouch for, it was always something of an endorsement, anyway. The halt came after Twitter received blowback for verifying Jason Kessler, the man responsible for the white-supremacist rally in Charlottesville, Virginia, in 2017. The company did not say when it would begin verifying accounts again, but it appears that it has been doing so without fanfare in recent weeks. Author of Trump tell-all Fire and Fury Michael Wolff and director of the Consumer Financial Protection Bureau Mick Mulvaney were two accounts to be verified after Twitter’s announcement, Fast Company reports. FC also noted that one of its editors was also recently verified after submitting a request earlier in 2017. The editor did not reach out or follow up with Twitter in any way to get the check mark. Twitter has not made any announcements about reinstating its verification program, likely because it’s still busy de-verifying all the alt-right and white-supremacist accounts that it never should have verified in the first place.